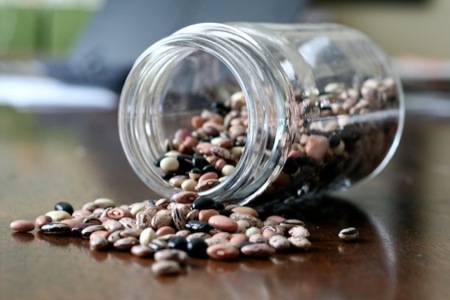 To tell or not to tell: Should you spill the plot beans in your query letter? About halfway through my novel a big secret is revealed – and if I’ve done it right, will come as a big surprise to readers. In a query, do I need to state the secret when I describe my book? I think knowing the surprise ahead of time affects the reading of the manuscript in a negative way. Of course, without revealing it, my description of the story might sound too vague.As an agent do you want all the major plot points covered or is the promise of a payoff enough to entice you to read more? (The novel is also more character rather than plot-driven). I answered that I don’t really like it when the author spills the beans in the query. Because here’s the thing: I think that if you can do a good job writing a suspenseful query letter, that has me wanting to read your manuscript, so I can find out what’s going to happen next, then there’s a pretty good chance you’re going to do a bang up job creating a suspenseful page-turning manuscript. I definitely don’t want all the major plot points covered in your query letter. I want a very, very short synopsis of the story and then I want you to go on and succinctly tell me what it is about your manuscript that will make me want to read it. Is it suspenseful? Funny? Lyrical? Is it fast-paced or does it take its time wandering down a country road? Is it about the apocalypse, or raising goats, or raising children? All three? Do you deal with issues of self-esteem, self-pollution, selflessness? All three? Cool. As I said before, some agents may disagree. But I say keep the secret. Good — my story is the country road sort, and the long, rambling kind in particular. But I’ll keep my beans unspilled, and I’m glad to have that question answered. Thank you so much for this answer. I’m keeping the secret too. Very good question, and excellent answer! I’ve heard that the synopsis in a query should resemble a back-cover copy synopsis in that it briefly describes the book, but doesn’t give everything away. Would you say that’s a good way to think of it? In all seriousness, it’s good to have that kind of model to think about while writing a query synopsis. Thank you!